George A Johnson Jr., Born in Bridgeton, NJ in 1953, is a third generation drummer. 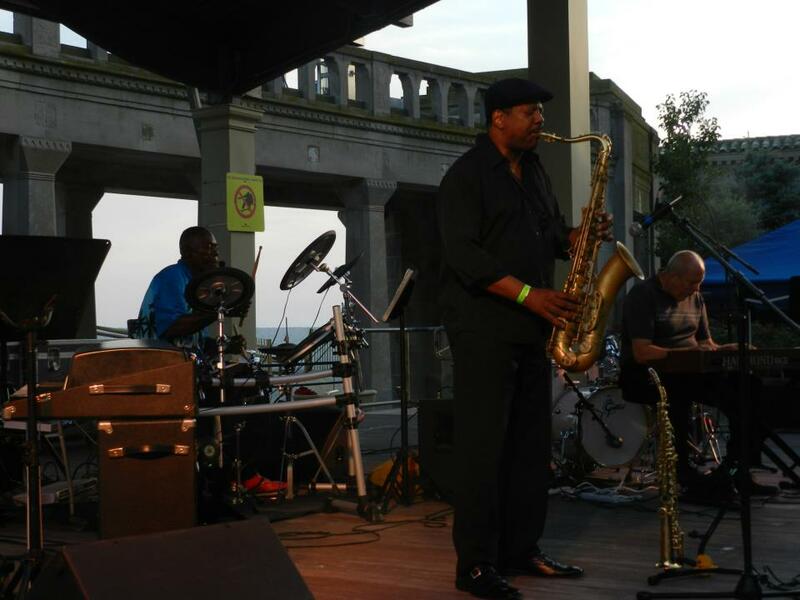 Johnson Jr. began playing drums at the age of five and began playing professionally at the age of 12 in the Atlantic City music scene. As a young adult Elvin Jones and Art Blakey mentored Johnson; in fact, it was Jones who helped Johnson pick out his first set of drums. If you are into Jazz, of course you have heard about Jimmy Garrison, Buster Williams, Ron Carter, Lou Donaldson, Cedar Walton, Lonnie Listen Smith, George Adams, Curtis Fuller, Johnny Hammond, Jimmy Merit, John Thaïs and Gene Ammos. But then you also heard about McCoy Tyner. And what about Abdullah Abraham? Means anything to you? Or you would have heard about Winton Morsels and Charles Ear! Then again you might have come across Craig Handy, Milt Hinton, Shirley Scott, Wickliffe Gordon, Terrell Stafford and Sir Roland Hannah. George A Johnson Jr. has played with them all. Three years touring with one of the very best in the Jazz world McCoy Tyner says what George is all about. A world class drummer, one of the very best around. Concepts of George A. Johnson Jr. Persistent. Get it if you don’t have it. BE IT ! Unsuccessful l men and women with great Talent. Education by itself will not help you. The world is full of educated derelicts. VISION WITH OUT EXECUTION IS HALLUCINATION !!! PERSISTENCE AND DETERMINATION ARE OMNIPOTENT FOR EVERYONE .